This famous university city originated during the Roman occupation, when a Roman encampment was built on a small hill beside the River Cam (originally called the River Granta). 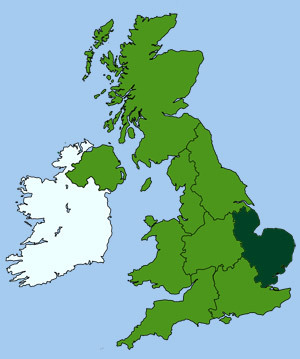 By the 5th century it had become a Saxon market town. In the 9th-c it was a Danish army base and during the 11th-c a Norman military stronghold. It was not until the 13th-c that the first students appeared. 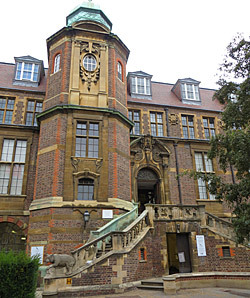 The university and its many colleges now form the very heart of Cambridge, with its grand educational institutions, libraries, historic churches and museums, covering much of the city centre. Even the commercial enterprises, which have expanded the outer city into a modern science-based industrial centre, owe their existence to the university. With trades such as instrument-making and electronics among its largest employers. If you are planning a sight seeing tour around the old city it would be wise to plan in advance, as there is much of interest to see. Also, if you are visiting by car, we recommend using the city's excellent Park and Ride scheme, as it can cost over £25 per day to park in the centre! Cambridge has numerous good quality restaurants, pubs and cafes to enjoy. There is a vibrant night life, with live music venues such as the Cambridge Corn Exchange hosting top artists, plus many smaller cafes and pubs like CB2, Man on the Moon, and The Locomotive, featuring local up-and-coming talent. The Junction theatre provides a diverse range of live music, comedy, dance, theatre and cultural performances. The West Road Concert Hall also hosts a wide variety of classical and more traditional music. The town also has a great deal to offer both the casual and serious shopper, with five shopping centres and a large open market square, from which radiate many little side streets and alleyways, full of unique and unusual shops. 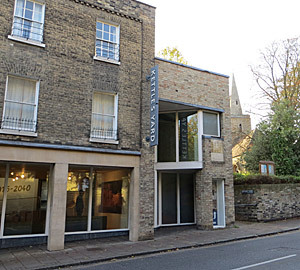 Cambridge is notoriously short of places to stay so book early, once the colleges have closed for the summer you can stay in the halls-of-residence at reasonable prices. (see college site and accommodation www.cam.ac.uk). 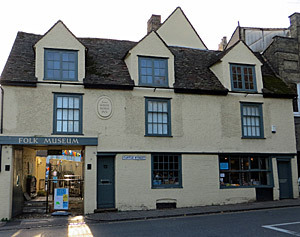 There is also plenty of bed and breakfast accommodation in the villages surrounding Cambridge, and at more reasonable rates than in Cambridge itself. Cambridge is a vibrant city centre with a large and comprehensive shopping centre, plus several open park areas, gardens, museums and colleges to visit. A great place for sight seeing, punting along the river Cam, or taking a walking tour, cycle tour or open top bus tour. 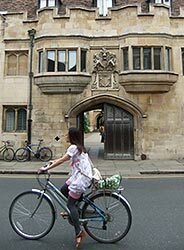 Cycle tours are now becoming very popular in Cambridge, which is an ideal way to explore this fascinating and historic city. The benefit of a cycle tour is that you can take in more of the sights and cover a much wider area than a walking tour. Plus it's a lot more fun, and provides you with an insight in to the city's famous cycling heritage. The tours operate from April to October, and cover many of the city's famous sights and university colleges, plus some of the surrounding villages and countryside. For details of routes, times and prices visit the Cambridge Bike Tours website. 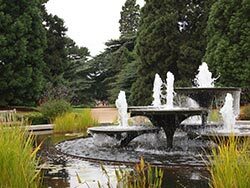 Over 40 acres of beautiful gardens and glasshouses, just south of the city centre. The gardens are open to the public, with something to see at any time of year. Enjoy herbaceous borders, matures trees, lake and marginal area, scented garden, glasshouse range, limestone rock garden, woodland garden and winter garden. Horticultural courses, guided tours, activities and trails. 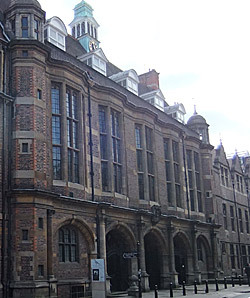 Official tours of the city and the University Colleges are provided by Cambridge City Council. You can also guide yourself around with a city centre map or even a podcast tour. 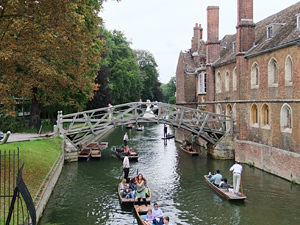 Chauffeured or self guided punting tours along the College 'Backs' is an ideal and relaxing way to enjoy the river and see much of University grounds. Cycling is also a great way of getting around and bike hire is widely available throughout the city. Details of maps, official tours and cycle hire is available from the Tourist Information Centre. Many of the university colleges and libraries are open to the public during "Open Cambridge" weekend, usually held in early September. For details visit the Cambridge University web site. The Art Museum of Cambridge University. One of the world's greatest museums, founded in 1816 by Viscount Fitzwilliam. Exhibits include Egyptian, Greek and Roman antiquities, illuminated manuscripts, ceramics, coins, arms and armour. There is also an outstanding collection of paintings, including works by Rembrandt, Titian, Constable and Turner. Plus an education service, temporary exhibits and events. This lovely yellow brick house contains a fine collection of artwork and sculpture collected by Jim Ede; one time curator at the Tate gallery. Works include paintings by the Nicholson's, Christopher Wood and Alfred Wallis, plus sculptures by Henry More and Barbara Hepworth. Alongside is a contemporary art gallery with regular changing exhibitions. A series of rooms representing the history of the everyday life of Cambridgeshire over the last 300 years. Each room is devoted to a theme such as domestic life, trades and occupations, children's toys and rural life. Exhibits peculiar to the Fenland crafts include equipment for catching eels, and overshoes for both men and horses to prevent them sinking into the mud. Part of the University of Cambridge, this important national collection displays a wide range of archaeological and ethnographic artefacts from around the world. It also houses a wide selection of photographic and archival materials related to peoples and cultures from pre-history to recent times. Founded as a memorial to Captain Scott and his companions, who perished at the South Pole in 1912. Exhibits include: letters, diaries and photographs from their journey, together with records and souvenirs of other polar expeditions. 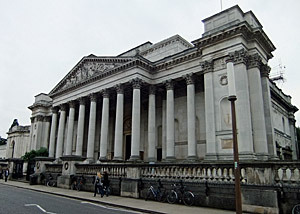 This fine geology museum is part of of the University of Cambridge. Containing over 1.5 million specimens and historical materials, it is noted for its extensive collections of fossils, minerals and mounted animal and dinosaur skeletons. 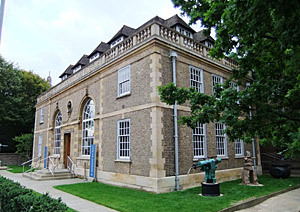 Part of the University of Cambridge, this important museum hosts a comprehensive collection of scientific instruments, apparatus and models dating from the middle ages. 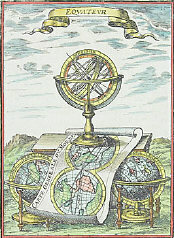 Including, microscopes, telescopes, sundials, astrolabes, armillary and ancient timepieces. There are also pictures, maps, photographs and many other artefacts pertaining to the history and advancement of science and astronomy. Note: The museum currently closed until early 2019.